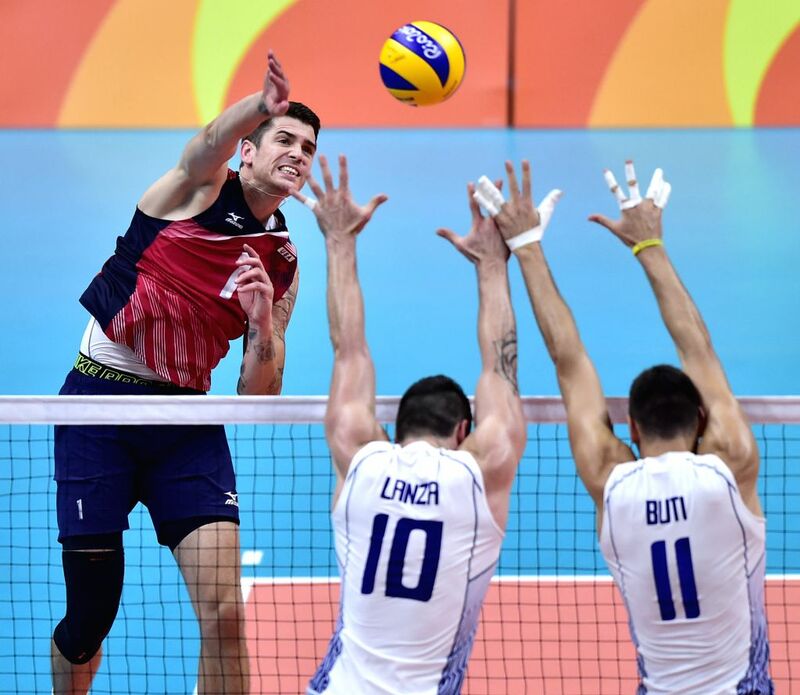 RIO DE JANEIRO, Aug. 9, 2016 - Matthew Anderson (L) from the United States of America smashes the ball against Italy during the men's volleyball preliminary match at the 2016 Rio Olympic Games in Rio de Janeiro, Brazil, on Aug. 9, 2016. 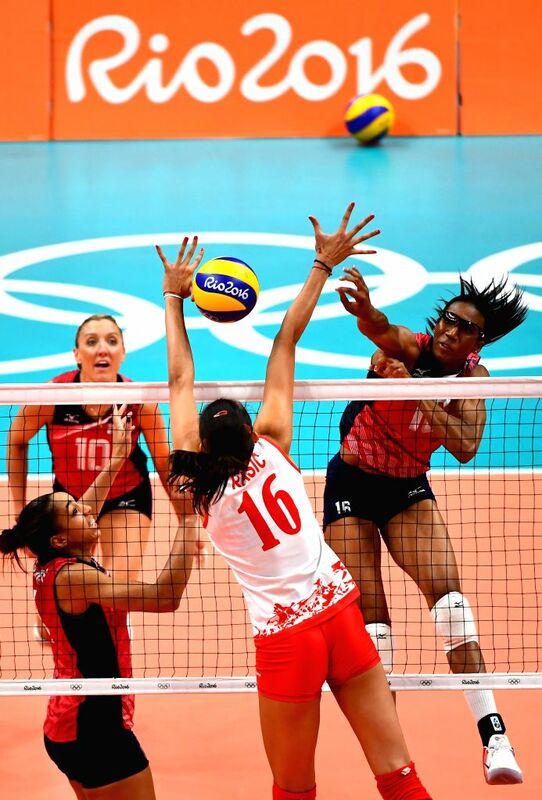 Italy won the match with 3:1. 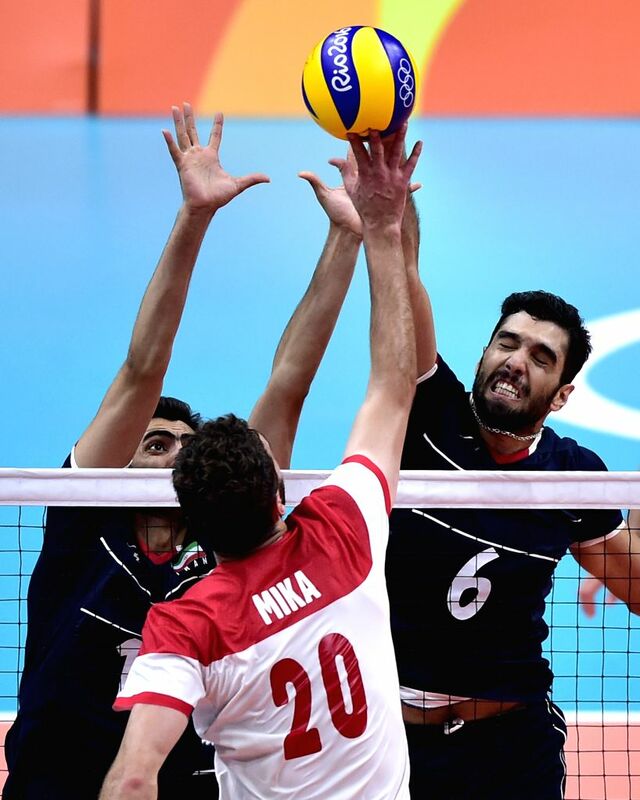 Iran's Seyed Mohammad Mousavi Eraghi (1st, R) blocks the ball against Poland's Mateusz Mika during a men's preliminary match of volleyball at the 2016 Rio Olympic Games in Rio de Janeiro, Brazil, on Aug. 9, 2016. 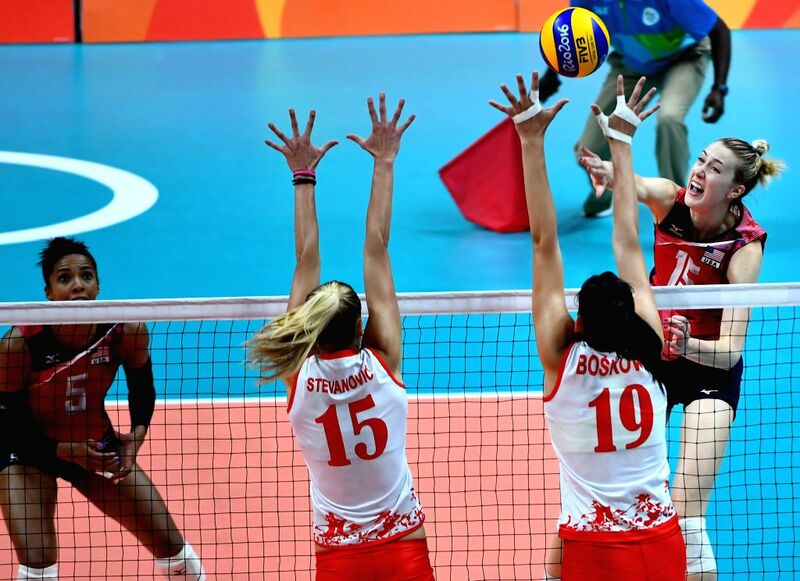 Poland won 3-2.